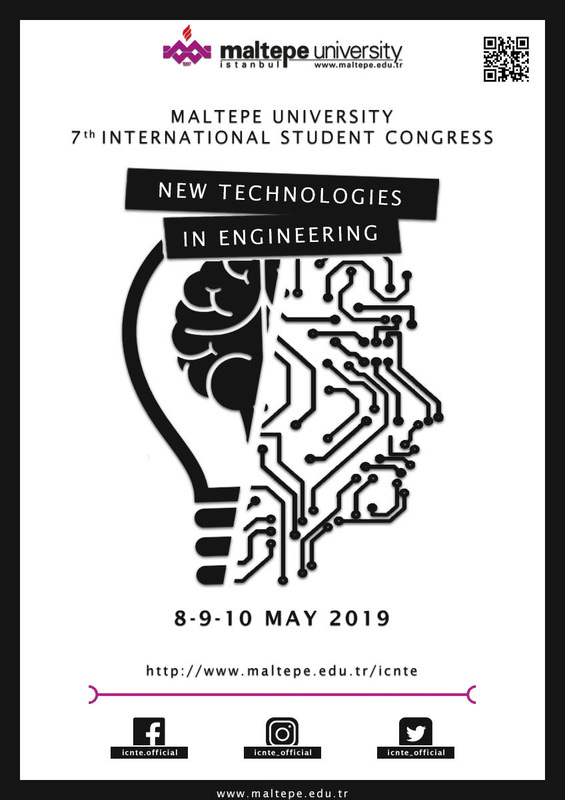 The 7th Maltepe University International Student Congress (ICNTE) in Istanbul, Turkey, between 8-9-10 May, 2019. Since 2013, ICNTE has brought students from around the world giving them the opportunity to express and share their research interests and ideas on a variety of important issues in engineering. The most important feature of the conference is that the speakers will consist of undergraduate, graduate, and Ph.D. students, typically affiliated to engineering programs. All the students are welcome to be a part of our congress with their articles, dialogues, notes, and further comments. Participants must present at least one paper at the congress. ICNTE will be held between 8 and 10 May 2019 at the “Marma Otel Istanbul” located in the main campus of Maltepe University, Istanbul. All accommodation (including hotel fees as well as breakfast, lunch and dinners) is free of charge for participants. Travel expenses (to Turkey and back home) will have to be covered by the participant himself/herself. Brief information on the conference themes/topics, important dates and logistics is provided below. Abstracts of up to 300 words should be submitted for peer review by March 1st, 2019 via email to the conference address. Guidelines will be e-mailed to you after we receive your letter of intent.